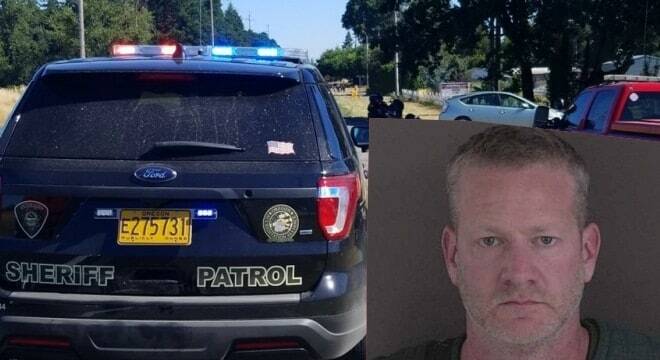 An Oregon detective was arrested on theft and misconduct charges last month stemming from a number of shotguns taken from the home of a deceased man. Sean Thomas Banks, 49, was placed on administrative leave and taken into custody after he told fellow detectives investigating him that he stole several high-end shotguns while on duty and sold them, reports The Salem Statesman Journal. Banks, who has been with the Marion County Sheriff’s Office for the past five years, responded in October 2015 to the home of a woman’s recently deceased father who had called over concerns about the late man’s firearm collection. The deputy left with five shotguns in his patrol vehicle “for safekeeping” without giving her a receipt. He later went on to sell or consign the firearms to two area gun shops, a fact he at first denied when he was recently placed under scrutiny by the department as part of an unrelated forgery investigation. The guns included a Browning Auto-5 and a Weatherby Orion, as well as models by Beretta, Remington, and Winchester. Released on a $55,000 bond, Banks is free pending a September appearance in Marion County Circuit Court.